The Good Bean builds on roasted chickpea trend and launches healthy supersnack. BERKELEY, CA, April 20, 2011 /24-7PressRelease/ -- Roasted chickpeas have become a hot new trend amongst healthy home cooks and food bloggers. A Google search for "roasted chickpeas" results in 450,000 hits, and with good reason. Roasted chickpeas are high in fiber and protein, a great source of nutrients, and deliver a crunchy and satisfying burst of flavor that is comparable to higher fat nuts and unhealthy chips. Homemade roasted chickpeas have become so popular that prominent food mavens such as Rachel Ray, Alton Brown and Mark Bittman have provided popular recipes on their websites and television shows. But homemade results are mixed. People roasting chickpeas in their oven often complain of uneven textures and burned beans. They take at least 45 minutes to cook, and turn mushy and unappetizing within 24 hours. The Good Bean, a Berkeley CA based company, is the first to take the messiness out of roasted chickpeas by creating a ready-to-eat chickpea snack made of dry-roasted and seasoned chickpeas in a variety of flavors - Sea Salt, Cracked Pepper, Smoky Chili & Lime, and Sweet Cinnamon. "As a healthy snack, roasted chickpeas are a no-brainer," says company Co-Founder and CEO, Sarah Wallace. "Chickpeas truly are nature's supersnack, packed with natural plant protein, and heart-healthy fiber. But people have a hard time getting them consistently crunchy at home. The Good Bean dry roasts chickpeas at a high temperature, and then seasons them with high-quality spices so you can enjoy the addictive goodness of chickpeas without the hassle." Launched in late 2010, the company has been welcomed with open arms by healthy snackers, moms, and people on restricted diets. "The Good Bean is naturally gluten-free and nut-free. This makes the snack a great alternative for people who are avoiding nuts and gluten, who only have starchy snacks made with rice, potato, or corn to choose from," says Wallace. 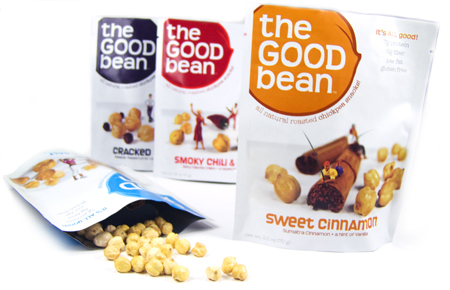 The Good Bean, LLC is a Berkeley, CA based healthy snack company committed to helping consumers snack better. The Good Bean makes snacks that are gluten-free, high in fiber and protein, and with a low glycemic index so they can be enjoyed by people on Gluten-Free, Heart-Healthy, and South Beach diets. 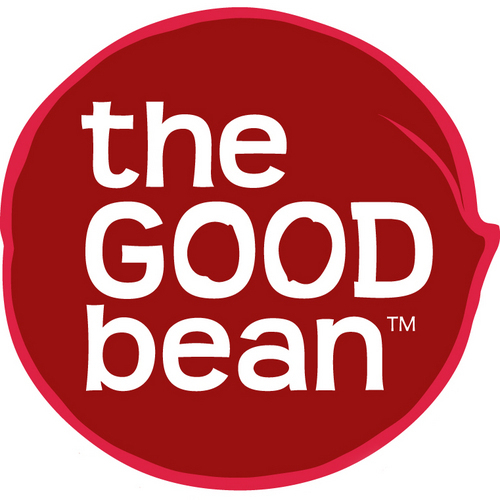 The Good Bean can be found at select retailers nationwide, Amazon.com, and on the company's website - www.thegoodbean.com. Product photos and other images can be found at http://www.thegoodbean.com/press.